Submitted by 108 breads on March 10, 2015 – 1:28pm. On the advice that one can make a less than 50 percent rye bread with stretch and folds, I tried that and added a long autolyse. All good, though, apparently, I am incapable of strictly following the scientific method. 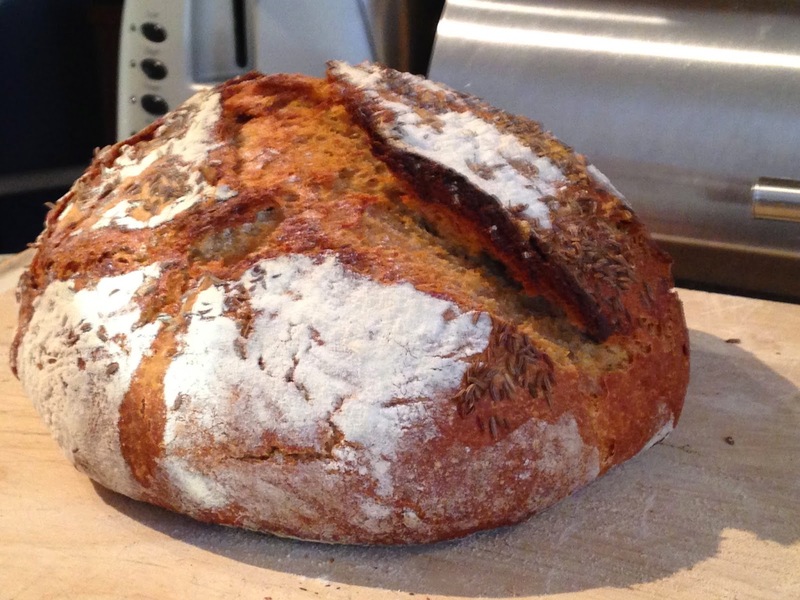 Here is the second try at this bread with rye and all-purpose einkorn flour. Very proud of the nice oven spring.